You will receive a prompt response – Once we receive your request for a consultation or estimate, you can expect us to respond to your request within 24 hours, after which we will set up an appointment time that is convenient to you. On the day of the appointment, our estimator will arrive on time and perform a thorough evaluation. You will receive the written estimate in person – We feel that anything other than a hand-delivered estimate is a disservice to our clients. This is why our estimator delivers the estimate in person, discusses the details, and makes sure that you are comfortable with our written quote. You wouldn’t be obligated to sign the contract unless you’re happy with all the terms. We keep you posted – There is typically a significant amount of time between our estimator’s visit and the actual start date. There is also the season, our backlog, and the amount of time needed to manufacture or deliver the required materials to consider. 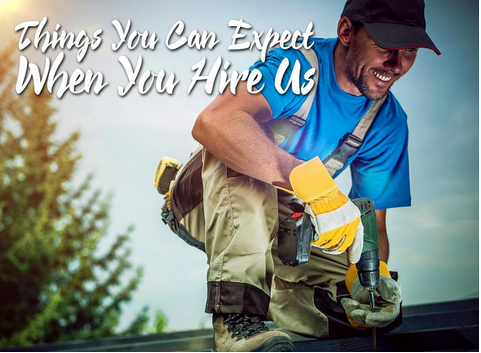 Fortunately, we will immediately inform you of changes in your roofing in Orland Park, IL. We would also call you the day before the start date to remind you. We complete the project in a clean and professional manner – We value your time, so our team arrives on schedule and works cleanly and professionally, from the pre-installation preparations, to the post-installation cleanup and disposal of old materials. We perform a thorough quality check – We make sure that you are 100% satisfied with our work before we leave. We also provide maintenance advice and answer any questions you may have. We care for your home after the installation – We also make annual follow up inspections to check if you are still happy with our work. For more information on our services, including new roofing in Crown Point, IN, call Rogers Roofing today at (219) 228-8210 or fill out our contact form for a free, no obligation consultation.